Get behind the trigger of a huge selection of the most legendary machine guns, rifles, handguns and shotguns and blast away at life-size targets in our Las Vegas gun range! 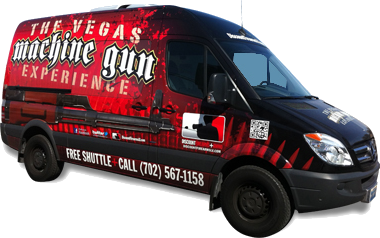 From the M4 and the AK-47 to the SAW and the historic Thompson submachine gun, we’re the best gun range in Las Vegas because we’ve got the most diverse selection of guns in town. As long as you meet our shooting range age limit, we want you to come down and see it all for yourself. Whether you want to prepare for taking on a horde of zombies or re-enact storming the beaches of Normandy on D-Day, we’ve got the best shooting range in Las Vegas to do it. Our diverse selection has allowed us to craft a memorable shooting range experience you won’t soon forget.